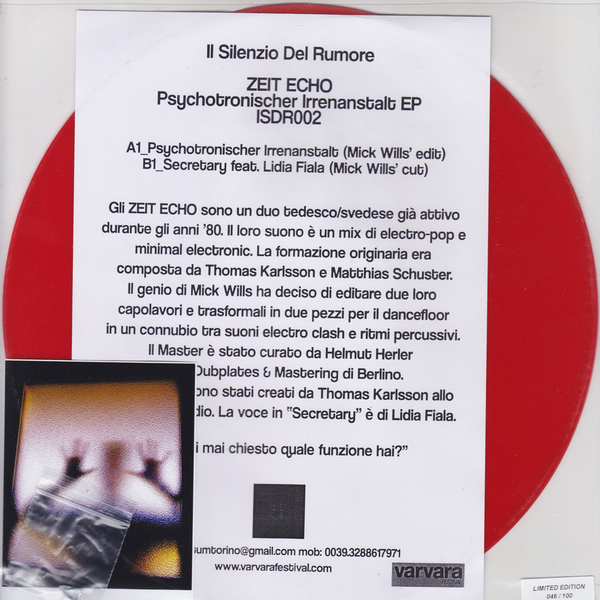 Killer Mick Wills edits of Zeit Echo’s original EBM cuts, bleeding’ for the ‘floor and including a guest vocal by Nine Circles’ Lidia Fiala. A-side’s Psychotronischer Irrenanstalt clubs hard with cattle prod stings and big, rusted snares strapped to muscular arpeggios, perfectly balanced and reeking of leather and poppers. B-side, Secretary follows a more brooding line of rutting EBM bass and flaying drums countered by the poised, urging vocals of the legendary Lidia Fiala. Limited, numbered red vinyl 12" with insert + photo and a totemic object from the picture set. Edition of 100. 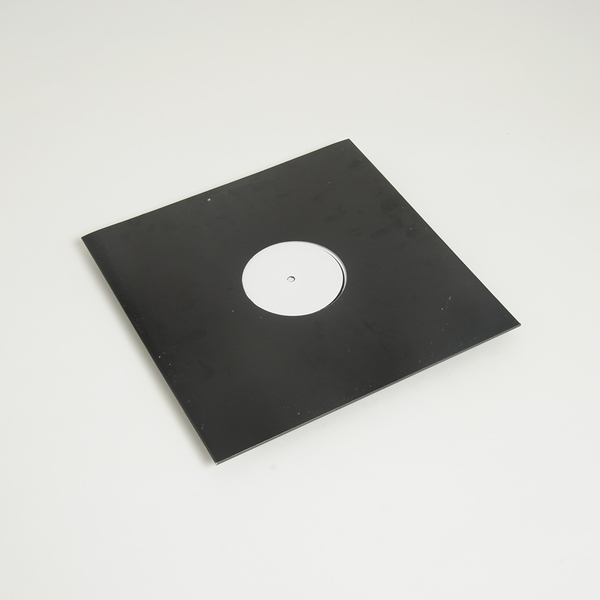 Limited, numbered white label 12" with insert. Edition of 200.